1. 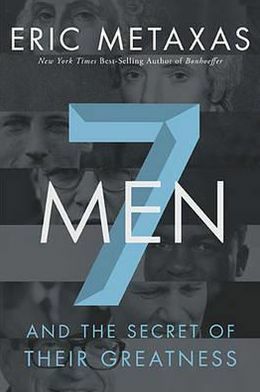 Seven Men: And the Secret of their Greatness by Eric Metaxas. I’m breaking a rule with this one: including it as one of my top reads before I’ve finished it. But I’m just over halfway through the book, and it’s already my favorite! Expertly employing historical narrative, Metaxas introduces us or reminds us of these seven great men: George Washington, William Wilberforce, Eric Liddel, Dietrich Bonhoeffer, Jackie Robinson, Pope John Paul II and Chuck Colson. Their greatness, Metaxas explains, is in their use of their power and position to serve others. Indeed, we can and should all recognize this as that which makes one truly great. 2. The Meaning of Marriage: Facing the Complexities of Commitment with the Wisdom of God by Timothy Keller. I read this to prepare for marriage this year, and it’s a book my wife and I will go back to many times during the course of our marriage for guidance and motivation when the going gets tough. Keller expounds on the biblical principles laid down for husbands and wives and shows us the power, the essence, and mission of marriage. It’s replete with useful principles and examples of meaningful, Christ-centered marriage, but one of the most helpful insights I took was the view of marriage as, ultimately, “spiritual friendship” between two sinners in need of God’s grace. Five months into my marriage, I affirm that this is indeed the bread-and-butter of our union – daily friendship and companionship in which we not only greatly enjoy one another, but also encourage and gently push each other to grow in our love for God and others. 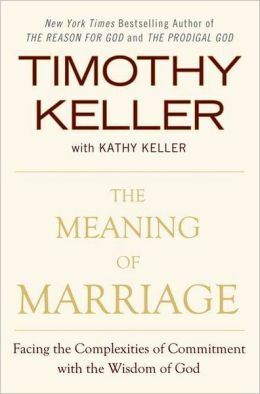 Keller’s important book explains the theology and teaches the practice behind meaningful marriage. 3. Lincoln’s Melancholy: How Depression Challenged a President and Fueled his Greatness by Joshua Wolf Shenk. Most people recognize the greatness of Abraham Lincoln, but few know the crucial role of his struggle with lifelong, persistent clinical depression in forming and strengthening his character. 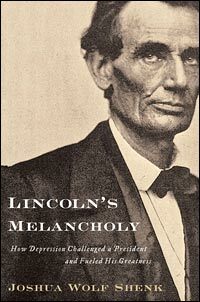 Shenk sheds light on Lincoln’s condition, which began in his 20s when he had his first severe bout of depression, with the understanding of our modern understanding of this illness, and he demonstrates how Lincoln’s trials with depression prepared him for the gargantuan trials of his presidency and the nation. This book illuminates and consistently fascinates, besides being eloquently and delightfully written. 4. The Irony of American History by Reinhold Niebuhr. 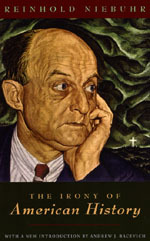 Though too few today have heard of him, Reinhold Niebuhr was a towering theologian and public intellectual at mid-century. He wrote this book as a critical self-examination for our nation, which following WWII found itself as the unchallenged superpower in a world threatened by the menace of Communism. Clear-eyed about the evil and perversion of communism, Niebuhr called on the American public and their leaders to not be blind about our own contradictions and ironies, such as professing noble universal ideals of peace and freedom while securing them through the threat of nuclear annihilation, as demonstrated in Japan at the close of the war. He argued that as the necessary and often tragic exercise of leadership in the world meant that we would not be able to keep intact our professed innocence and virtues. Still, he was clear that the consequences of inaction and isolationism are worse still. This profound and prophetic work, written in 1952, remains as relevant as ever today. 5. Making Sense out of Suffering by Peter Kreeft. “This is a book for anyone who has ever wept and wondered, ‘Why? '” begins this book. A philosophy professor at Boston College, Kreeft takes the reader by the hand and brings him to the feet of philosophers, theologians, artists and writers to help him better understand the why behind the painful but universal reality of suffering. 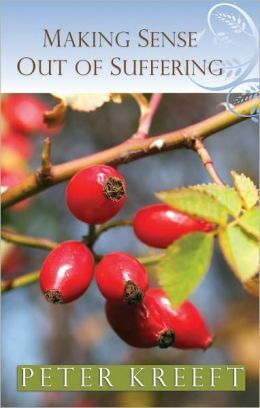 Kreeft’s gentle wisdom is displayed on every page, making this a deeply personal and moving journey in addition to an intellectual examination of the various and often inadequate answers to suffering found in different religious and philosophical worldviews.